We’d love your help. 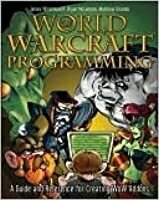 Let us know what’s wrong with this preview of World of Warcraft Programming by James Whitehead II. 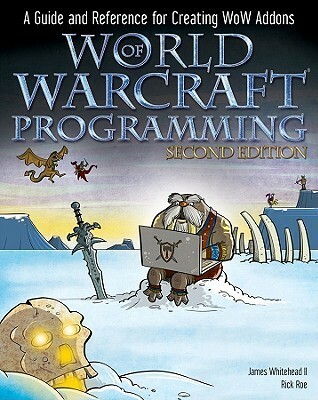 The #1 bestselling programming book is back with updated and expanded coverage of the newest release of WoW! World of Warcraft (WoW) is currently the world's largest massively multiplayer online role-playing game. The newest release, "Wrath of the Lich King," has created a demand for updated information on writing addons. 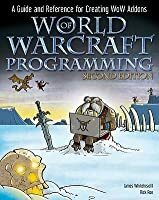 This eagerly anticipated edition answers that reque The #1 bestselling programming book is back with updated and expanded coverage of the newest release of WoW! World of Warcraft (WoW) is currently the world's largest massively multiplayer online role-playing game. The newest release, "Wrath of the Lich King," has created a demand for updated information on writing addons. This eagerly anticipated edition answers that request and is an essential reference for creating WoW addons. World of Warcraft insiders share their techniques for writing addons for both the latest version of WoW as well as the new Wrath of the Lich King expansion set Guides you through the specific nuances of the WoW API with the use of detailed examples Discusses ways to distribute and host your WoW addons so others can download and use them Explains how to respond to events, create frames, and use the WoW API to interact with the game You'll be well on your way to creating exciting WoW addons with this comprehensive reference by your side. To ask other readers questions about World of Warcraft Programming, please sign up.